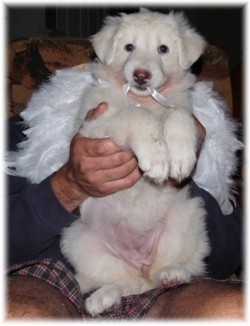 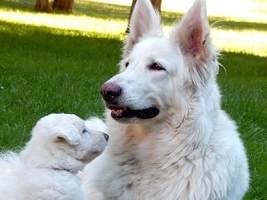 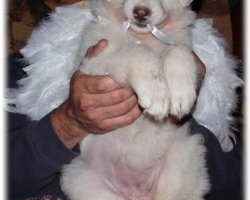 Winter is our pure white plush girl from our Trinity/Magnus pairing of 2007. 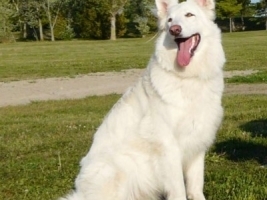 Winter is a striking white plush with good bone, deep chest, great topline and beautiful floating movement. 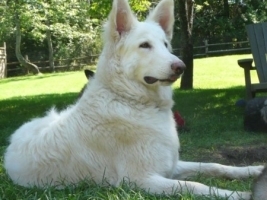 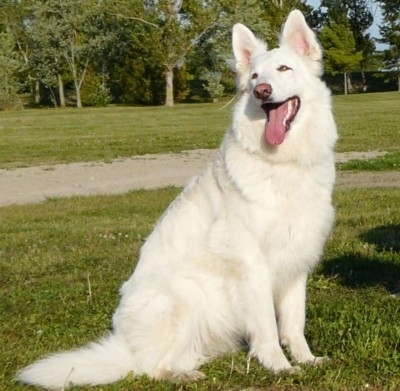 Winter’s temperament cannot be beat, she loves everyone, is extremely easy to train, gets along with all dogs, is gentle and playful with puppies, adores children, lives for her people and loves to please. 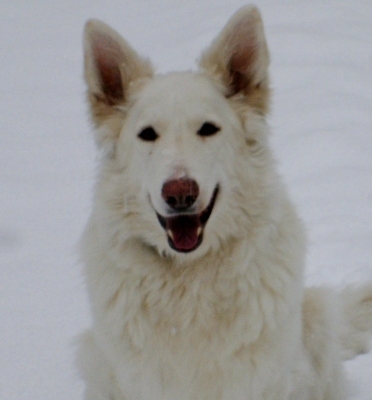 We take Winter for almost daily walks to the dog park in town where she is received well by all who meet her. 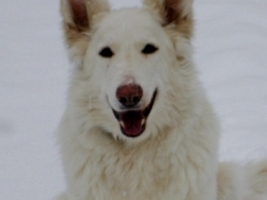 Winter has good drive, is a fabulous retriever and good swimmer, she is a very fun girl. 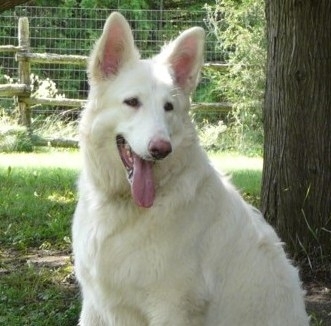 We are very excited at what Winter will bring to our breeding program…she comes from varied lines with tons of size and broad blocky heads in her background. 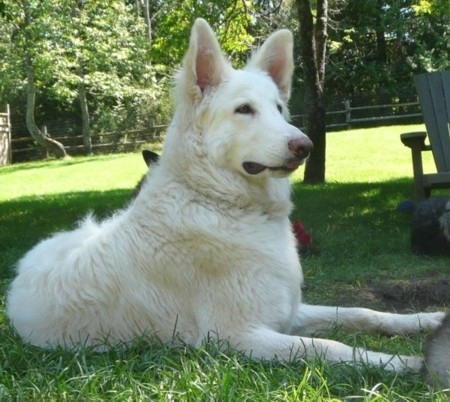 At 2 years of age Winter weighs in just under 100lbs and is thin and athletic, she is a nice sized female. 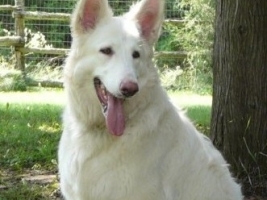 We are very excited to see what Winter will produce….we expect her pups to be great obedience or working candidates as well as wonderful family companions.